The innovating technology created by Li-Mithra provides a thermal energy within a temperature in accordance with the need such as heating or for DHW. 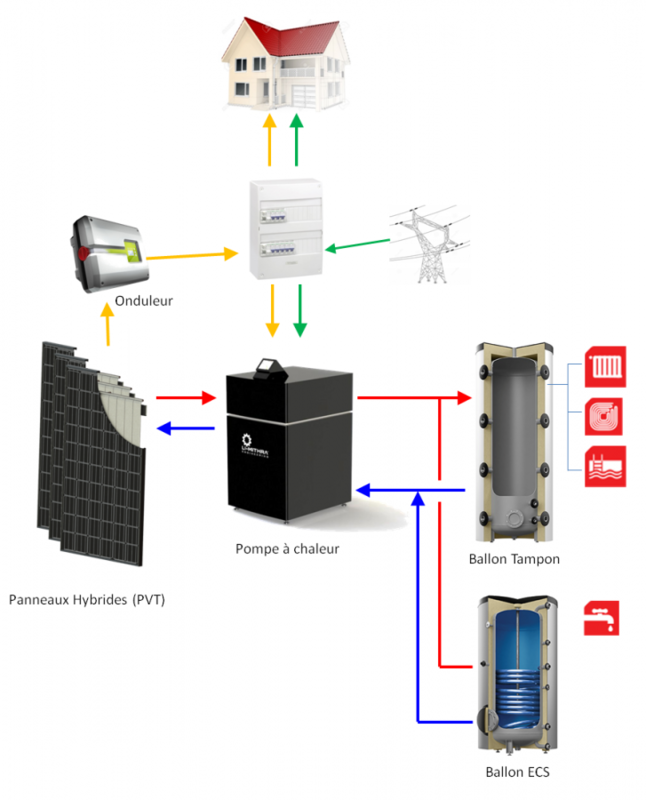 The technology is composed of a specific heat pump using a hybrid solar panel as energy source. The hybrid panel is a standard photovoltaic panel equipped with an absorber located on the PV backface held by specific mechanical spring made in stainless steel. The heat pump coupling to hybrid panel provides a cooling down of the photovoltaic panel and an increase of the temperature of the cold heat transfer liquid source in order to increase drastically the system efficiency (COP).